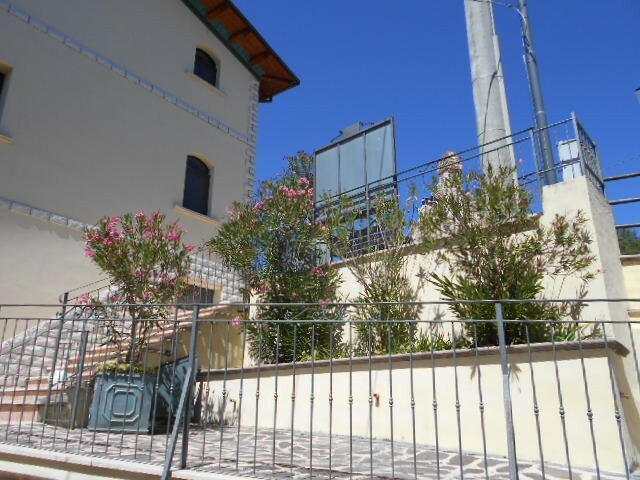 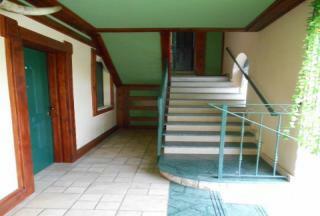 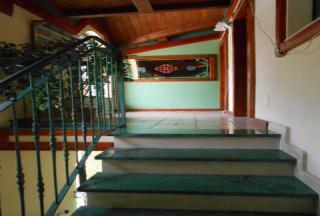 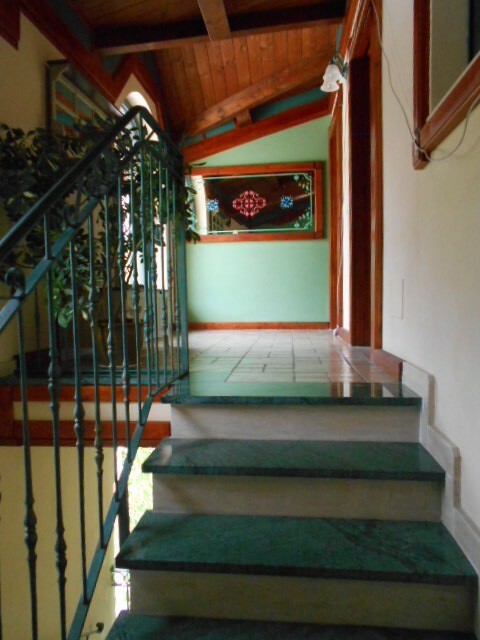 A fascinating property which has been in the same family since it was built in 1885. 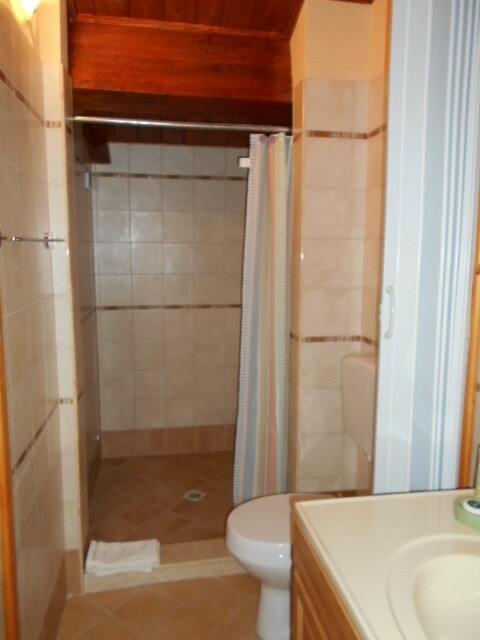 It was fully restored before opening for business in Spring 2009 and comprises 8 independent suites. It has gained a reputation as being a premier tourist rental property. Each self-contained apartment has a bedroom which can accommodate two adults. Two of the suites also have sofa beds, which are ideal for larger families. 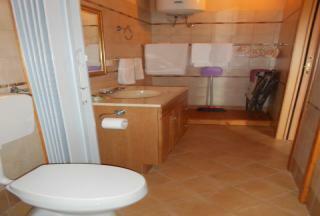 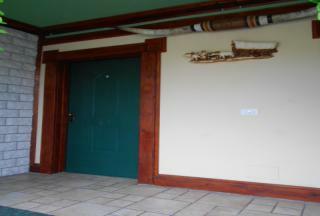 The two, gound floor, suites have wheelchair access. 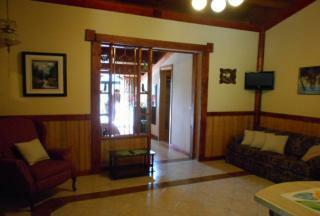 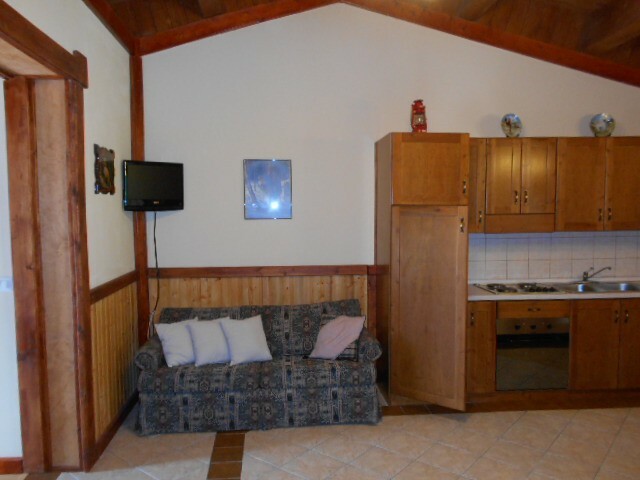 All of the suites have cooking facilities, although there are many good restuarants within minutes of the property. 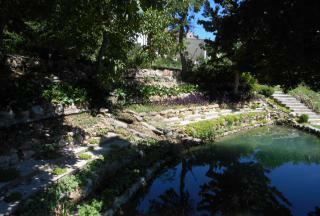 The grounds are spectacular and well-maintained. 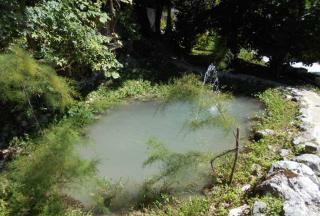 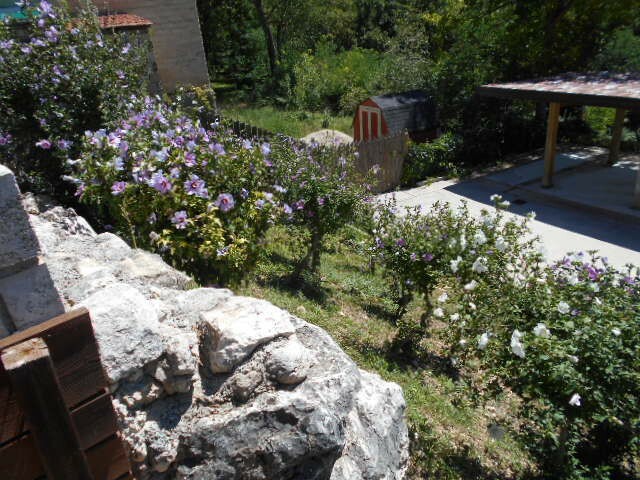 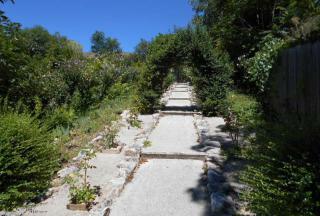 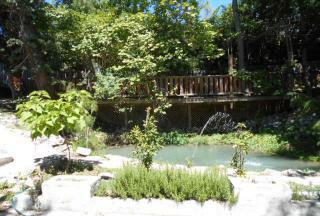 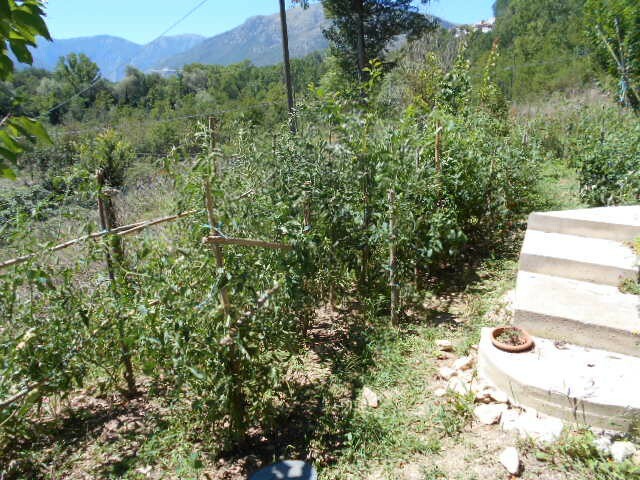 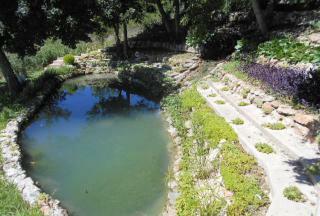 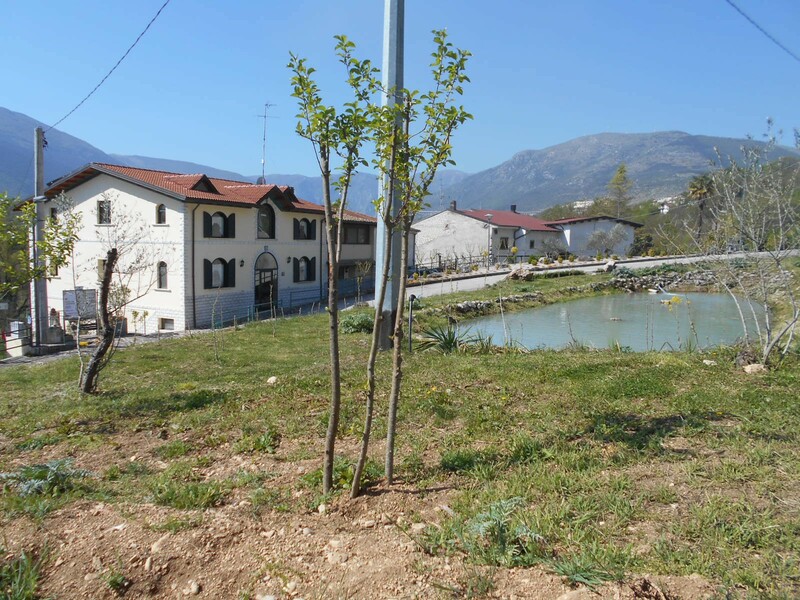 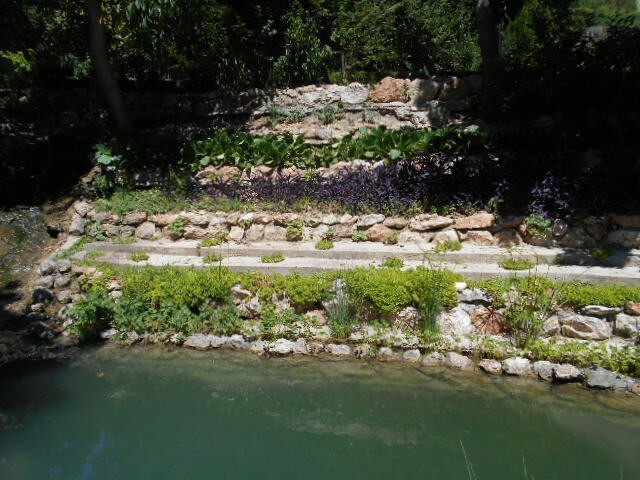 They benefit from fountains, ponds, roses, fig and walnut trees. 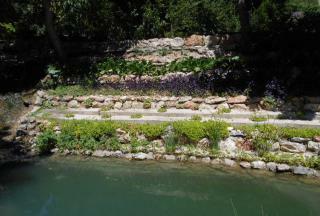 The River Saggitario River runs by the edge of the property. There is ample parking. 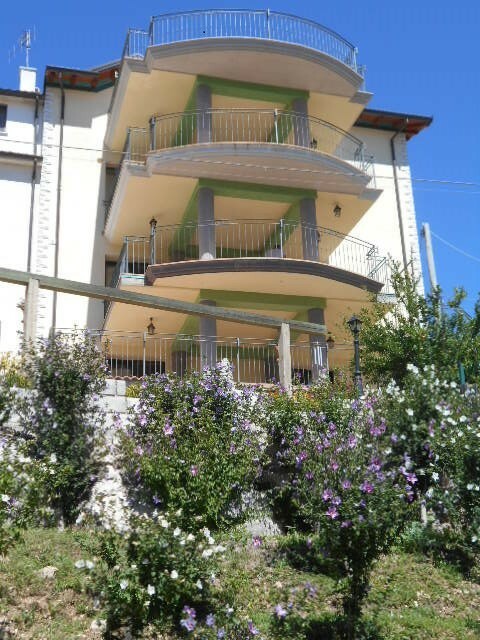 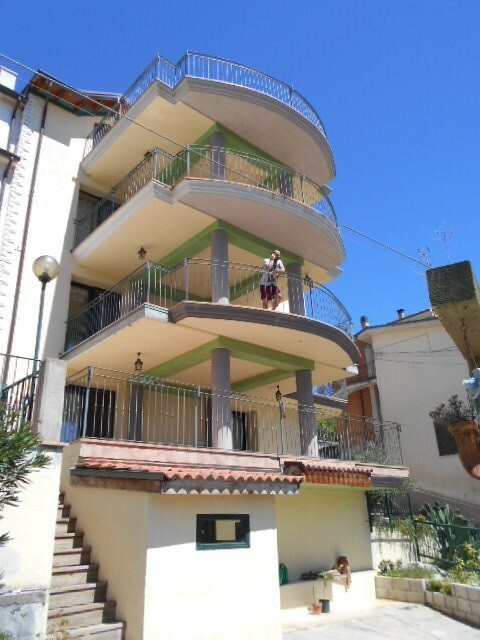 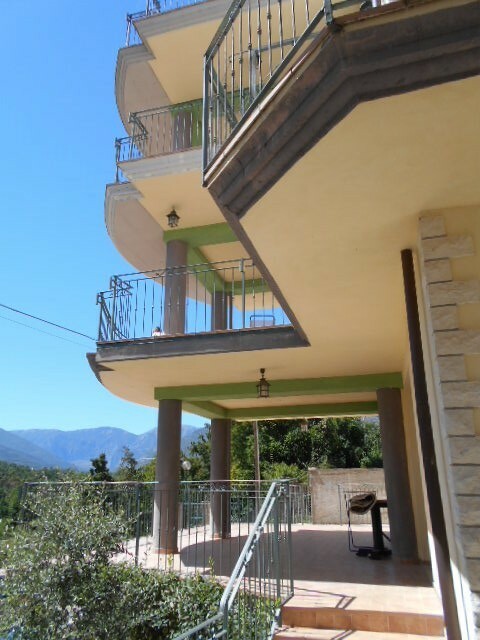 All the apartments have large balconies, perfect for enjoying a local glass of wine whilst admiring the beautiful mountain views. 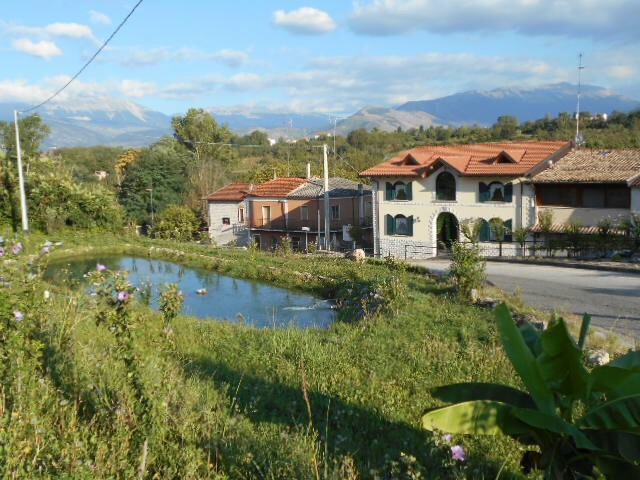 A holiday in Campo di Fano is perfect for exploring Abruzzo in both winter and summer. 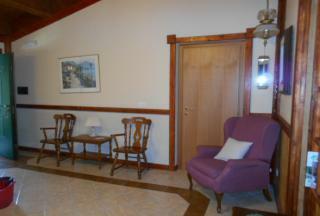 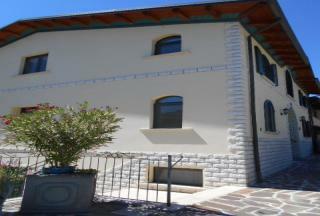 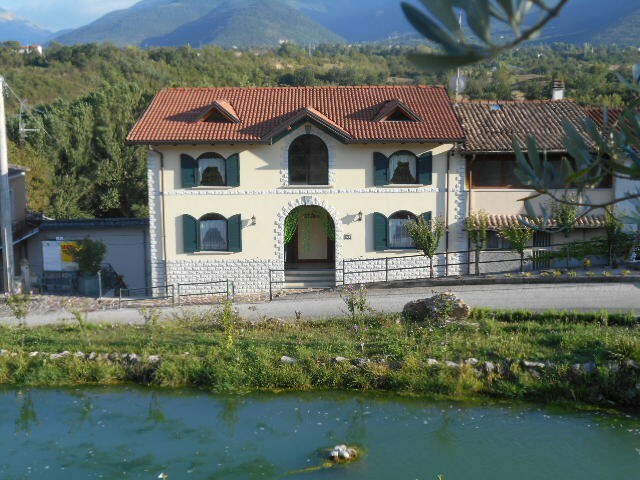 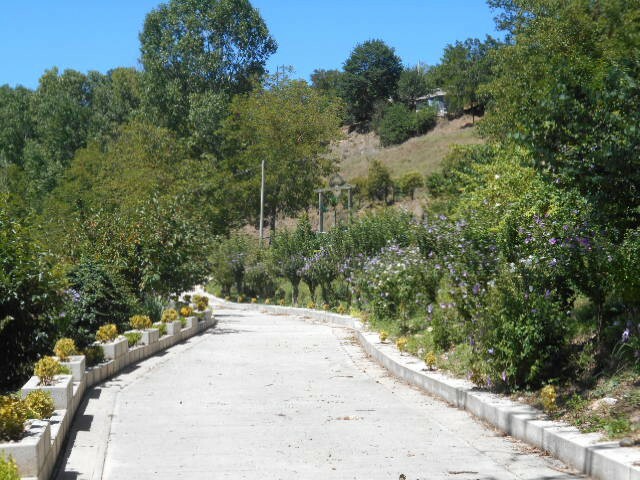 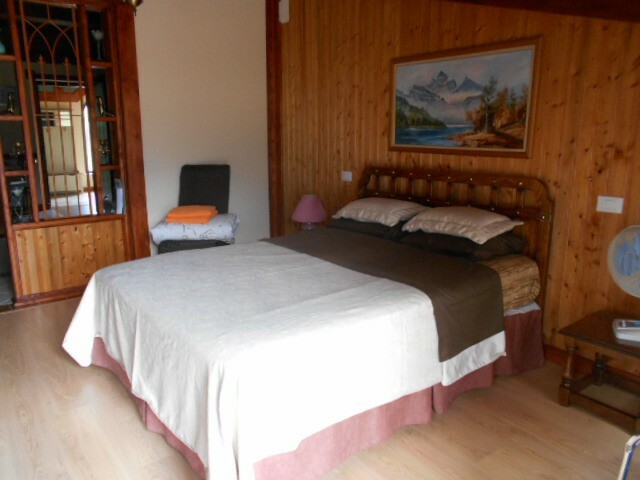 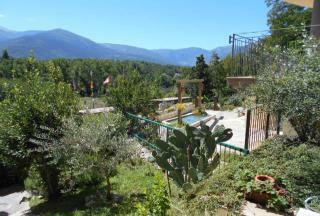 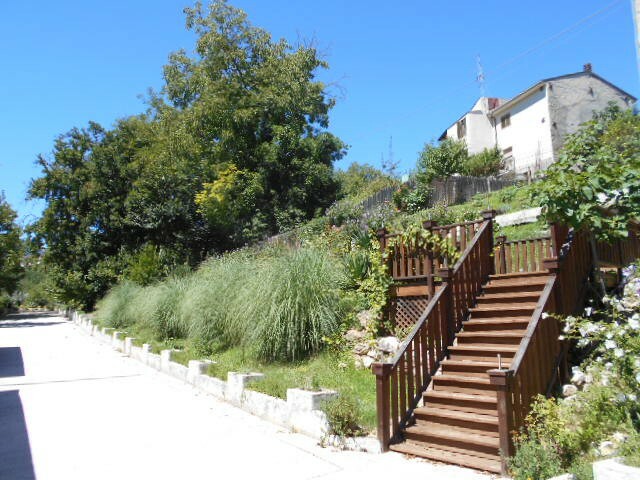 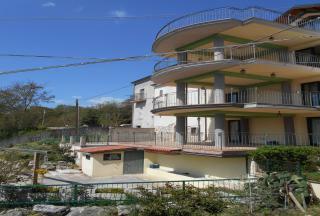 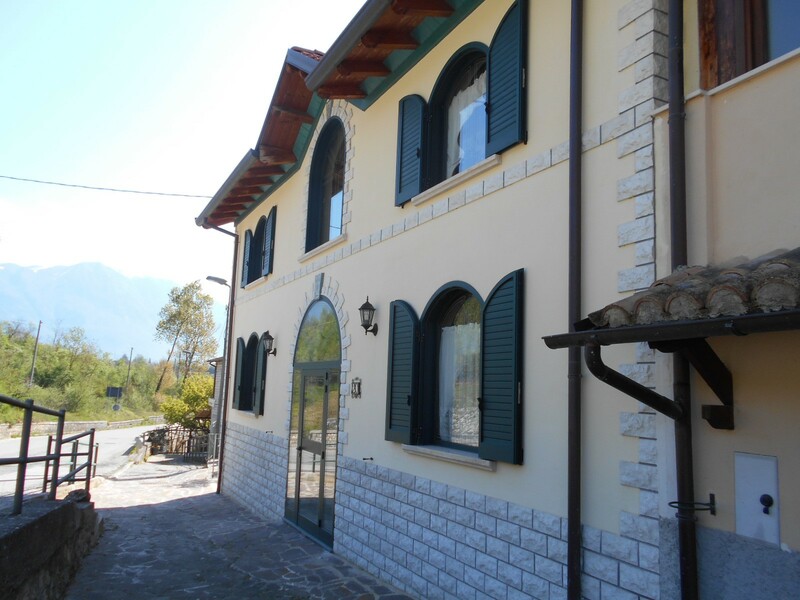 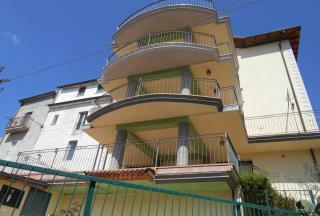 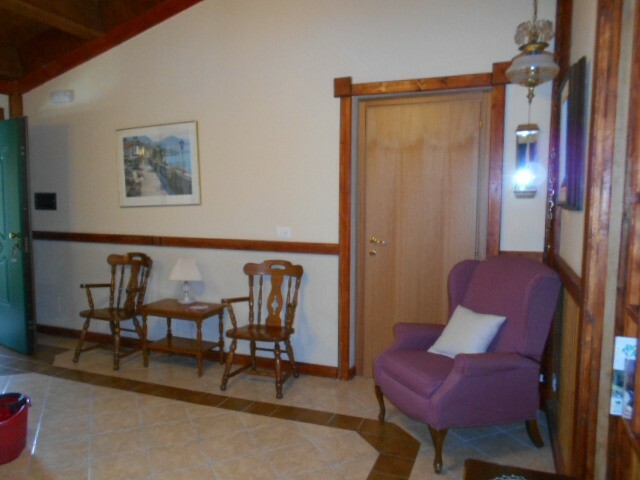 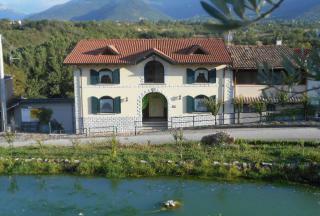 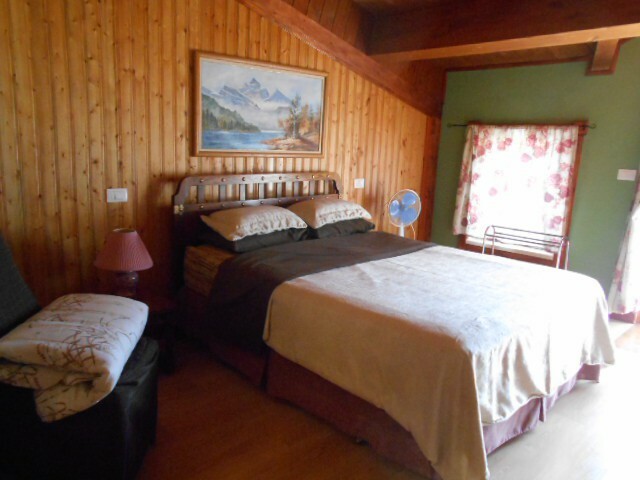 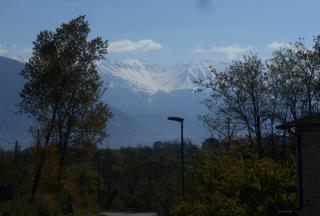 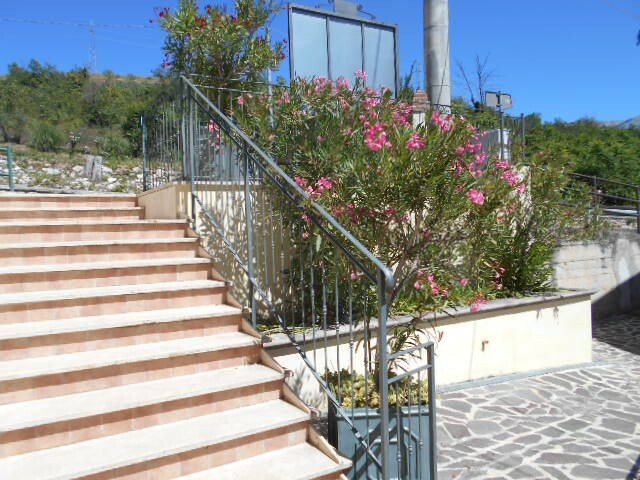 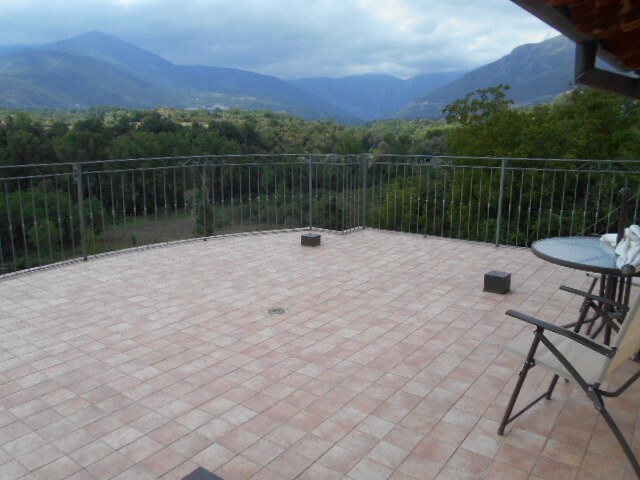 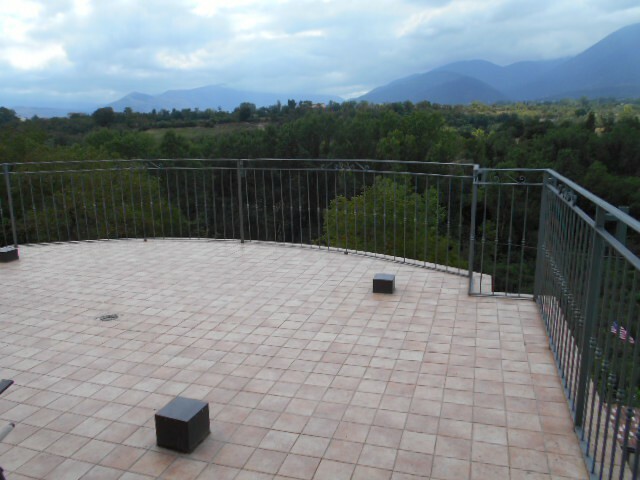 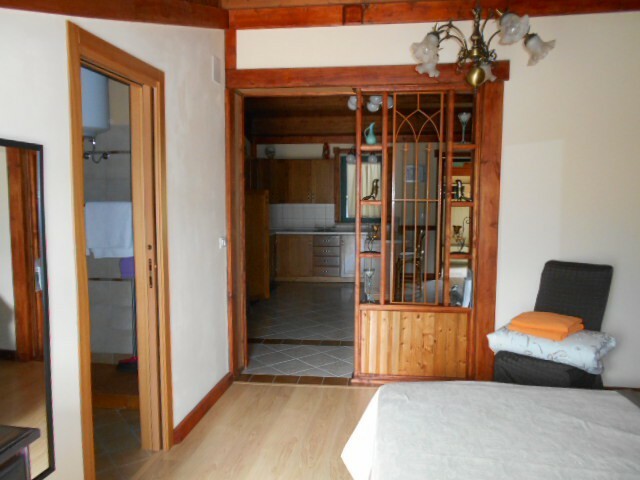 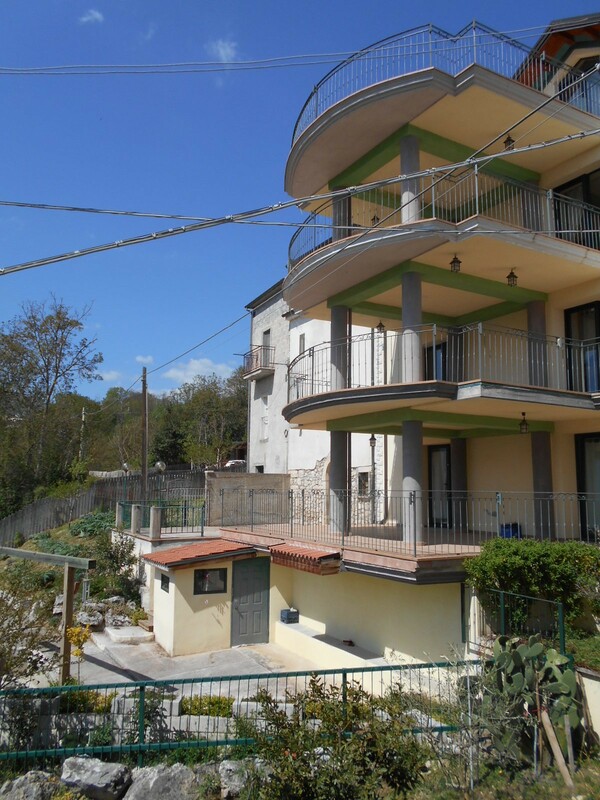 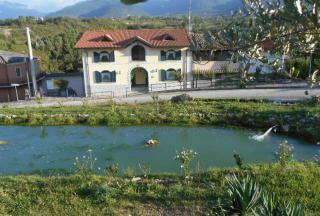 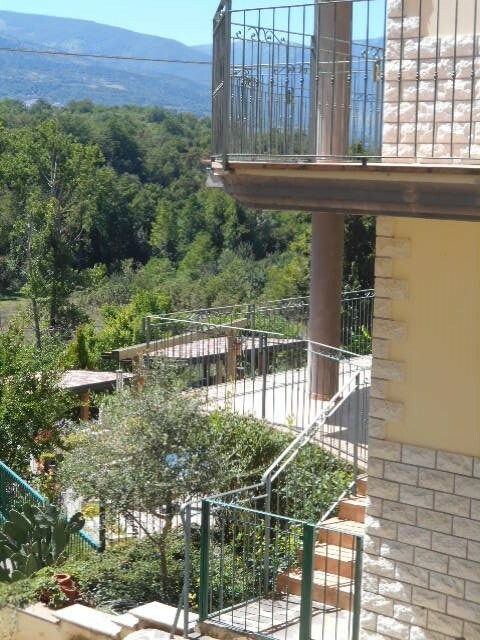 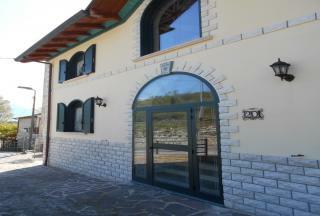 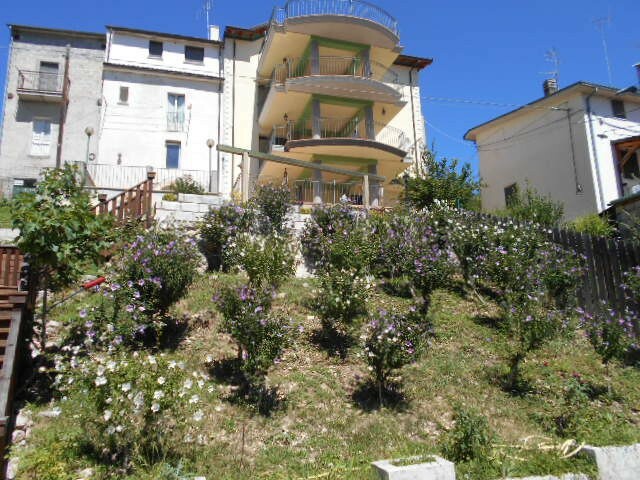 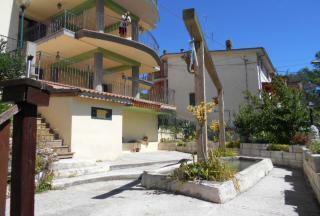 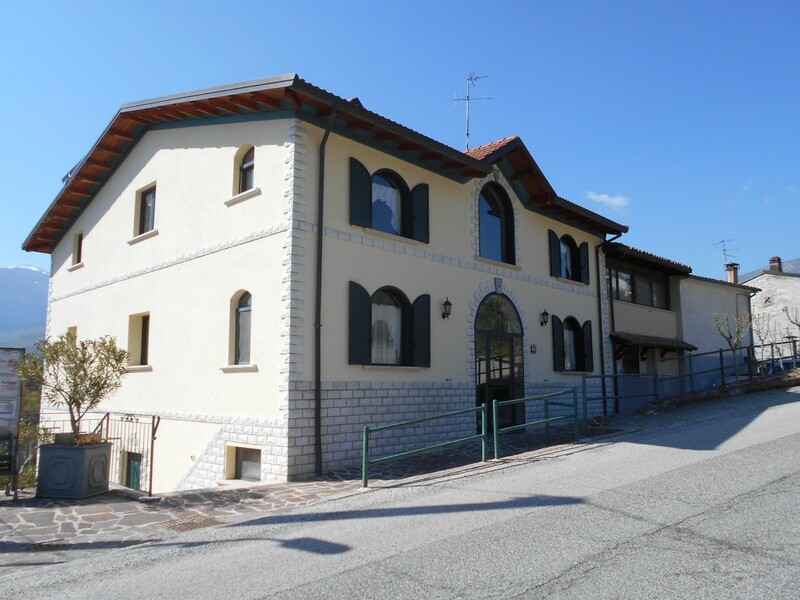 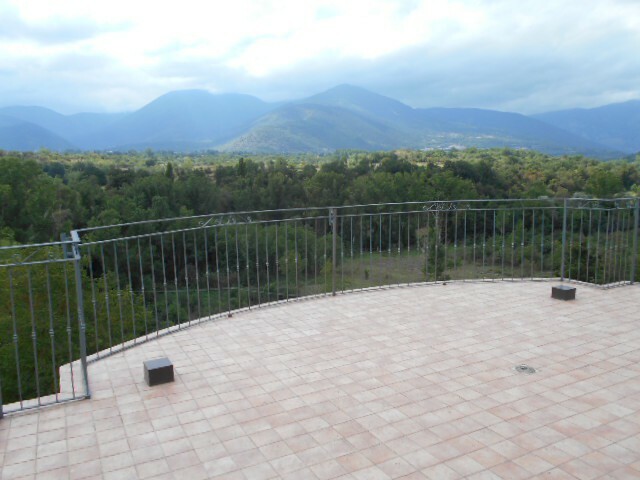 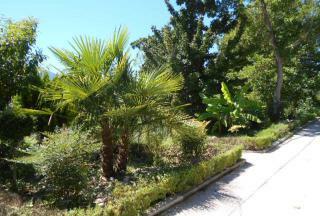 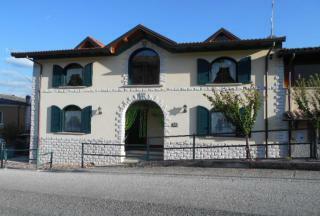 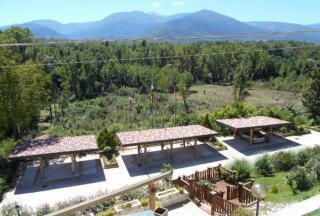 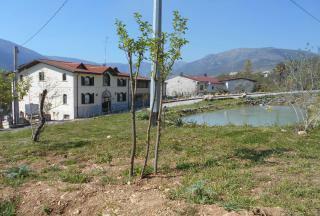 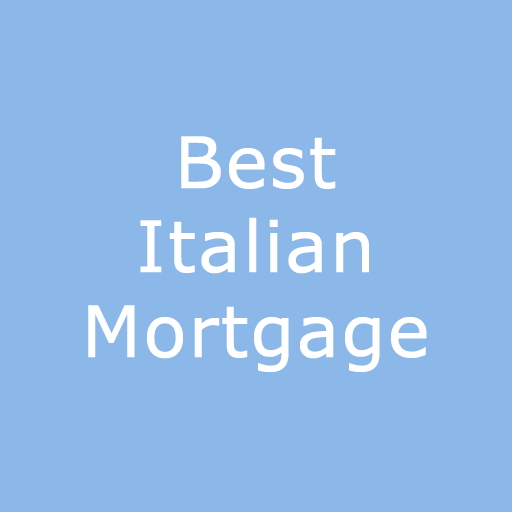 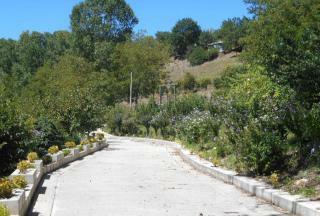 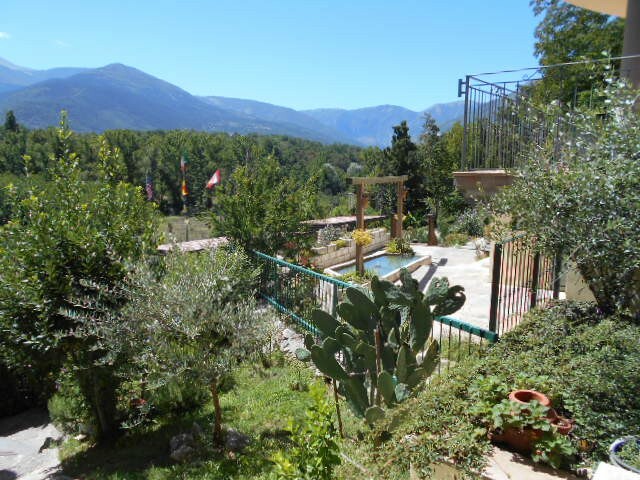 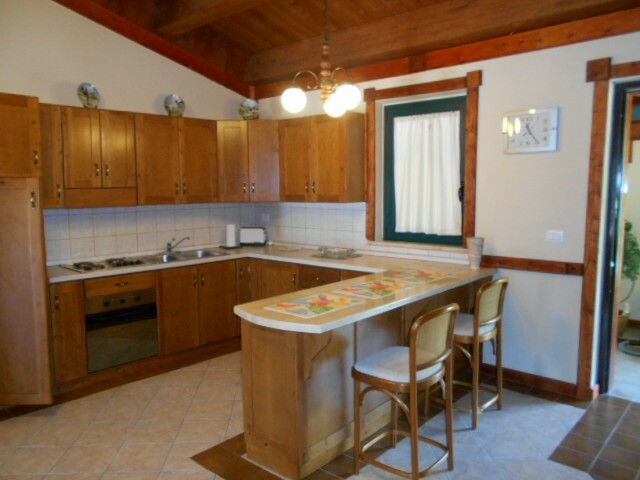 It is close to National Parks, majestic mountains, spectacular local villages, the coast, skiing and the town of Pescara. 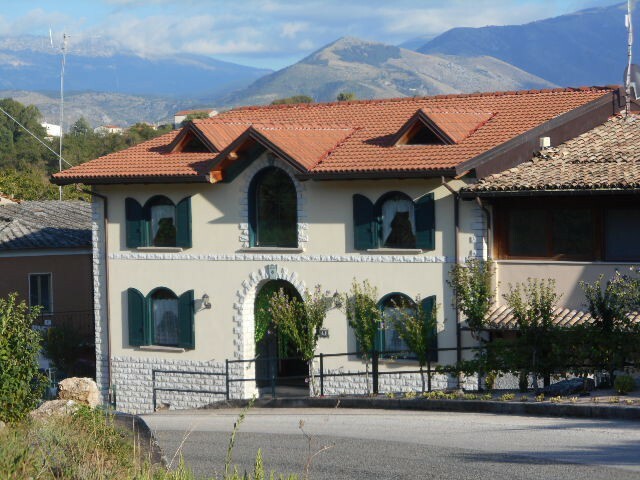 Rome is less than two hours away, by car. There are lots of local festivals, throughout the year which celebrate historic and religious events, food and wine, ancient traditions and music. 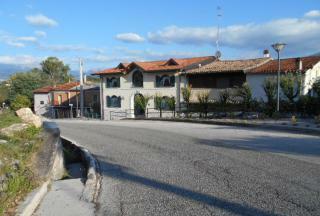 A mention should be made of the historic town Sulmona, just 5 minutes' away. 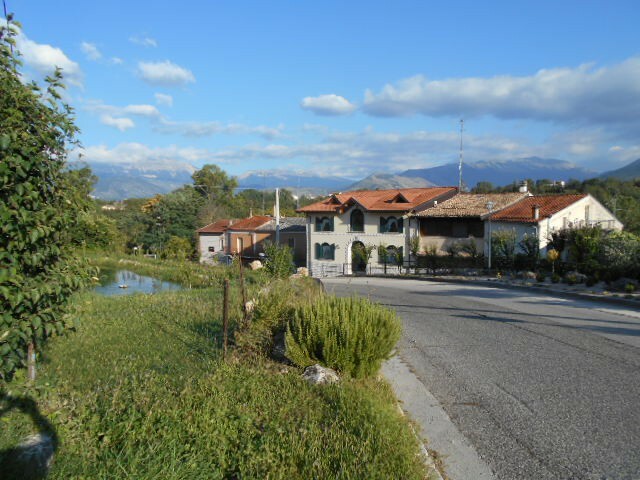 It is often referred to as 'the prettiest town in Abruzzo' and, of particular note, is the well preserved Medieval viaduct. 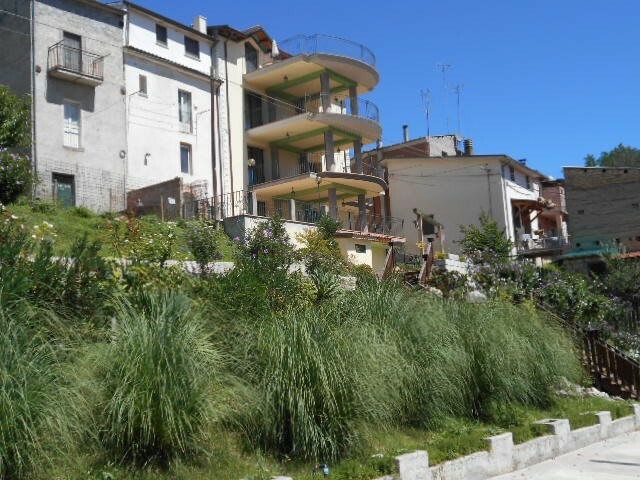 It is also famous for pageants, including the reinactment of jousting tournaments and the production of brightly coloured, sugared almonds or 'Confetti di Sulmona', available in many specialist shops. 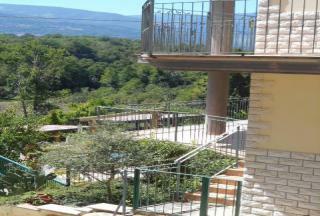 There are also exceptional places to eat and drink. 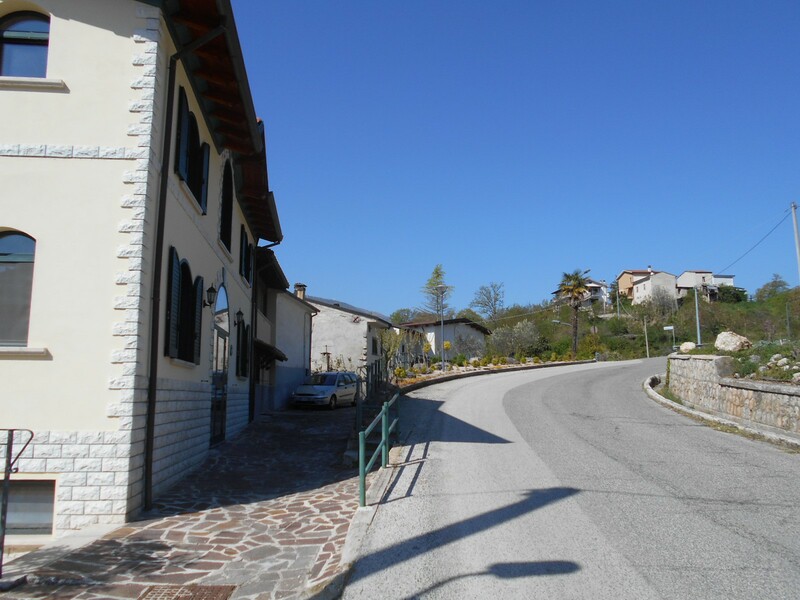 There are many surrounding villages to visit on day trips including Pacentro, Bugnara, Scanno, Pescocostanza and Roccaraso. 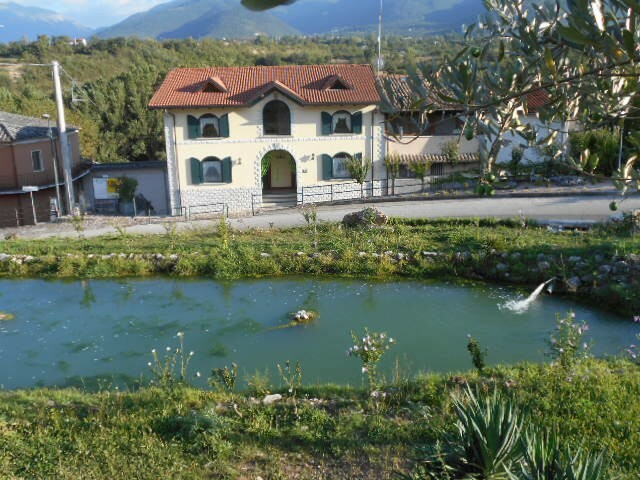 The town of Caramanico Terme, known for its spa and health giving properties, is definitely worth a day trip.